Location: mounted behind shoulders, hand-held in use. -Beam Rifle: 1 energy beam per attack. With the outbreak of war, the Earth Alliance's Atlantic Federation begins a secret project to develop mobile suits to counter ZAFT's mass-produced ZGMF-1017 GINN as well as operate free of interference from the N-Jammers. One of the first five prototype mobile suits is the GAT-X102 Duel Gundam, which serves as a testbed for the GAT-X103 Buster Gundam, GAT-X105 Strike Gundam and GAT-X207 Blitz Gundam. As a basic mobile suit, the Duel Gundam is designed for close combat. Its armament consists of two beam sabers, two "Igelstellung" vulcan guns and a combination high-energy beam rifle/grenade launcher. Like the other prototype Gundams, the Duel Gundam is equipped with the new Phase Shift (PS) armor technology. When in Phase Shift mode, the Duel Gundam is nearly impervious to attacks from shell-firing artillery or melee weapons. However, use of Phase Shift for extended periods of time is a massive drain on the energy battery. On January 25, C.E. 71, the Duel Gundam is stolen by ZAFT pilot Yzak Joule during ZAFT's assault on the neutral colony Heliopolis. Following the escape of the Earth Alliance battleship Archangel, Yzak and his Duel Gundam continue to harass the Archangel's crew during the later period of the war. During one battle with Kira Yamato's Strike Gundam, the Duel Gundam is heavily damaged and Yzak's face is scarred. Afterwards, ZAFT upgrades the Duel Gundam to the Assault Shroud configuration. With this upgrade, extra armor plates are fitted over the main body, along with several new weapons. These weapons include a 5-barrel missile pod launcher on the left shoulder, as well as a 115mm "Shiva" railgun on the right shoulder. Although ZAFT develops the Assault Shroud upgrade themselves, the Earth Alliance copies it and incorporates it into two limited production versions of the Duel Gundam: the GAT-01D Long Dagger and GAT-01D1 Duel Dagger. With his upgraded mobile suit, Yzak vows to get revenge on Kira for the scar he received. However, at the war's end on September 26, C.E. 71, Yzak assists the Clyne Faction in defending the PLANTs and destroys both the GAT-X252 Forbidden Gundam and GAT-X370 Raider Gundam. Later, a second Duel Gundam unit piloted by Mudie Holcroft is upgraded to the GAT-X1022 Blu Duel. The armament of the Duel is rather simple and consists of two head-mounted "Igelstellung'"75mm multi-barrel CIWS guns, which would later become standard weaponry on most suits to shoot down incoming missiles and close enemy units. For close combat, the suit features two beam sabers, which are usually mounted behind the shoulders of the suit. For ranged combat the Duel also uses a 57mm high-energy beam rifle with an attached 175mm grenade launcher. For defense the suit mounts a single physical shield. Duel also has a bazooka as an optional weapon, loaded with high-explosive round. The bazooka was taken and used by MBF-P01 Gundam Astray Gold Frame to escape from Heliopolis. After being stolen by ZAFT and damaged in battle, the suit is upgraded with the so-called Assault Shroud armor, which fits several armor plates over the body that can be ejected if necessary. The armor also adds an additional "Shiva" 115mm railgun on the right shoulder and a 220 mm 5-barrel missile pod on the left shoulder for additional firepower. As with the other suits developed under the G Project, the Duel was equipped with the new Phase Shift armor, granting it near imperviousity to shell firing weapons. The Duel was the first mobile suit developed under the Earth Alliance's "G Project" during the opening months of the Bloody Valentine War. 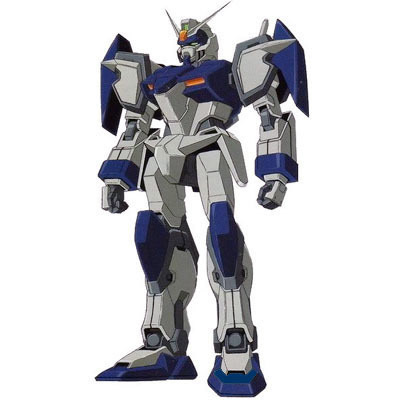 The suit served as a testbed for the GAT-X103 Buster, GAT-X105 Strike and GAT-X207 Blitz and was the first mobile suit ever to be equipped with Phase Shift armor. On January 25, CE 71, the Duel was stolen from Morgenroete, Inc.'s Heliopolis facility by ZAFT mobile suit pilot Yzak Joule. Yzak then used his suit together with his comrades piloting the other stolen suits to pursue the Archangel on its way to Earth. During the pursue Yzak fought the Strike piloted by Kira Yamato several times and also took part in severly damaging the Eurasian Federation space fortress Artemis. Eventually, the Duel was outmaneuvered by the Strike and damaged severly an arm in one instance and suffering a penetrating hit to the cockpit in another, that caused injury to Yzak's face. After these battles, the Duel was equipped with a 34.37 ton armor system called the Assault Shroud, which it continued to use until the end of the war. 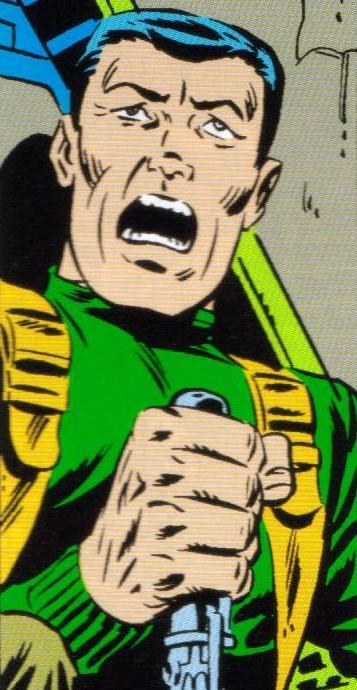 When the Archangel decended down to Earth, Yzak and his suit continued to fight against the ship, first as part of Andrew Waltfeld's team and later together with his comrades from a Vosgulov-class submarine. Despite several battles, the team was never able to destroy the Archangel and instead lost their friend Nicol Amalfi, pilot of the Blitz, in battle against the Strike. When the Alliance introduced their first mass-produced mobile suit GAT-01 Strike Dagger, the Duel proved highly effective in combat against them and frequently racked up admirable kill counts of the suits. The Duel also took part in the disastrous Operation Spit Break, the attack on the EA's JOSH-A base, as well as the successful attack on the Panama Spaceport. When his ZAFT comrades began to slaughter Alliance soldiers as revenge for the losses in Operation Spit Break, Yzak was disgusted by their actions. The Duel eventually returned to space and took part among other in the battle around the Mendel colony and the later battles around the PLANT homeland. He also fought in the Second Battle of Jachin Due, the last battle of the war, during which he defended the PLANTs against the Earth Alliance nuclear attack. It was also during this battle that he destroyed the GAT-X252 Forbidden, by sacrificing the Assault Shroud as a decoy. After the loss of the Duel's Assault Shroud armor, Yzak helped his friend Dearka Elsman in battle against the GAT-X370 Raider , which it also destroyed by using the Buster's rifle. After the war ended, the Duel is apparently decomissioned, along with its 'brother' unit, the Buster. The Earth Alliance eventually created several variants of the Duel. The first unit was the GAT-01D Long Dagger, which served as a testbed for the Natural OS and its limited mass production follower, the GAT-01D1 Duel Dagger. Each of these suits could optionally use a so-called Fortresta mode, which is similar to the Duel's Assault Shroud armor. Also at least one other Duel was built, which was upgraded by Actaeon Industries in the GAT-X1022 Blu Duel, piloted by Phantom Pain member Mudie Holcroft. *Anti-Beam Combat Shield: this is a real, physical shield mounted to the Duel Gundam's arm (left or right, usually left). It can be used by the Mecha Combat/Parry skills. 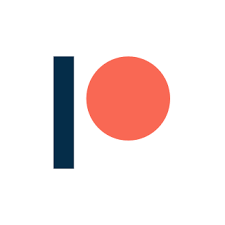 It is placed between an incoming attack and the mobile suit when a parry is made. If the Shield is destroyed (roll of 16+ on the Damage Chart), then it is discarded (or has been blown to bits), and no longer useable by the mobile suit. Shields are meant to take the brunt of oncoming attacks to give the mobile suit a better chance to survive, and while they may not last long, they can take at least a single devestating hit that would otherwise destroy the mobile suit. *Beam Sabers: Beam Sabers are much like Lifhtsabers from Star Wars. Though their creation may be very different, the function is still the same, that of an energy-bladed close combat weapon. Where Lightsabers rely on the powers of a Jedi to make themmore damaging, Beam Sabers work differently here. Mobile suits have Armor Dice as a part of their Hull Dice, and Beam Sabers make Armor Dice count only as "pips" when dealing damage. They can do this for as many Armor Dice as the sabers have in Damage Dice. When dealing damage against a target that simply has Hull Dice and no other distinction, the players/GMs have options. The simplest is to deal damage as normal with straight up damage dice (but you may want to add 1D/2D to the beam saber's Damage Dice to balance this out). Another option is to use the Beam Saber's "Armor Reduction" effect as is on anything with a normal Hull Dice code (I would allow Wild Dice to count as normal, as well as extra dice rolled by getting 6's on it and Character Points spent to just survive being cleaved by a freaking Beam Saber). The reasoning behind the "Armor Reduction" effect us because of how devestating Beam sabers are in close combat (especially when used against physical mecha mel?e weapons! ), and the fact of having to get close enough to use them in the first place (Star Wars starfighters deal almost completely/exclusively with ranged weapons of all kinds, whereas Gundam in every different setting deals with both ranged and mel?e combat on many scales larger than Character, even up to Capital!). Another way to do this (if players/GMs wish to do so) is to not subtract the entire Hull Dice number from the Battery (5), subtract "1" instead, but still subtract the full Damage Dice number of any attacks that hit the Gunsam. *Ultracompact Energy Battery: In the Gundam SEED setting, nuclear power has been rendered near useless by use of Neutron Jammers (N-Jammers). ZAFT attempted to prevent the use of nuclear weapons after the "Bloody Valentine" incident, where Junius Seven of the PLANTs was destroyed by a nuclear attack by Naturals. Using N-Jammers extensively with their ships, as well as deploying them all over the Earth deep underground, use of nuclear reactors is all but impossible until the development of the Neutron Jammer Cancelers (N-Jammer Cancelers). Therefor, most technological devices use alternate means of power sources. Most mobile suits and mobile armors use ultracompact energy batteries. While their operation time may be limited, most of these vehicles still have plenty of time to complete their sortie missions before having to return to base for resupply and recharge. To represent this, take a mobile suit/mobile armor's Hull Dice and multiply the number by a hundred (100), adding 25 per pip (500 for the Dual Gundam here). This is the Battery's power supply, or "power points, if you will. Decrease by one point per round of combat while the mobile vehicle is active after launch. Any energy weapons directly connected to the battery drain it by a number equal to the Damage Dice they inflict, per use (such as beam rifles, beam cannons or beam sabers, etc.). Any special equipment that shield or help the mobile vehicle (such as energy shields, Phase Shift armor or Mirage Colloid) deplete the battery by a number equal to it's Hull Dice. Any other variants will list any differences in their entries. -Unit type: prototype close combat mobile suit. -Weight: max gross weight 69.1 metric tons (normal mode), 103.47 metric tons (Assault Shroud mode). 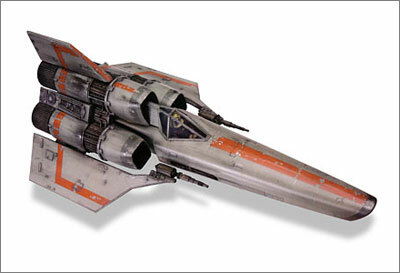 -Equipment and design features: sensors (range unknown); Phase Shift (PS) armor. 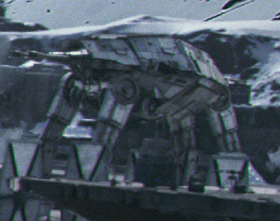 -Fixed armaments: 2 "Igelstellung" 75mm multi-barrel CIWS (fire-linked, mounted on head); 2 beam sabers (mounted behind shoulders); shield, mounted on left forearm. -Optional hand armaments: 57mm high-energy beam rifle w/175mm grenade launcher; hyper bazooka.